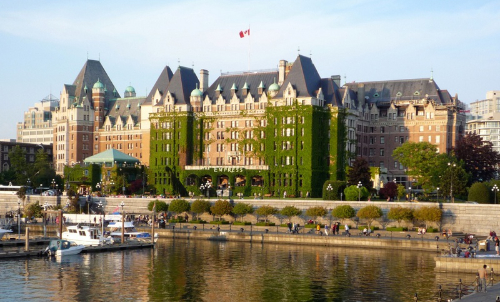 Build between 1904-1908, The Fairmont Express (“The Empress”) is Victoria, British Columbia’s most famous and oldest hotel, officially opening on January 20, 1908. 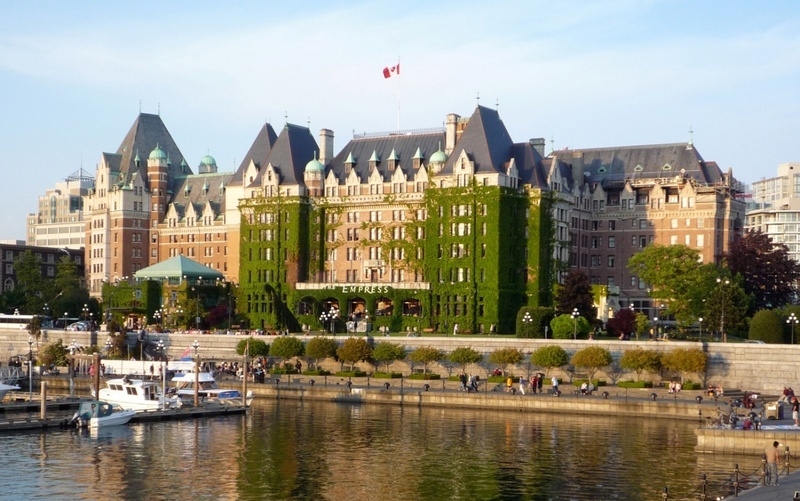 Designed by architect, Francis Rattenbury, this chateau style hotel served as a terminus hotel for Canadian Pacific Steamship line. By the mid-to-late 1920’s Victoria was a popular tourist destination which attracted royalty and movie stars. Rumor has it, Shirley Temple, her parents and bodyguards stayed here because of kidnapping threats in California. Over the years, The Empress began to fade, some felt it needed to be torn down. Thankfully others saw it as a Victoria landmark and $4 million was spent to refurbish The Empress in June 1966. It was designated a National Historic Site of Canada in 1981 and in 1989, $45 million was spent renovating guest rooms, health club and indoor pool. Adding to the charm of this beautiful old hotel is the Victorian Tea Service which serves more than 800 guests daily! There are approximately 900 squares of slate on this roof! Our North Country Unfading Black (20” x 10” x ¼) has been supplied over the years for various repair work and restoration.